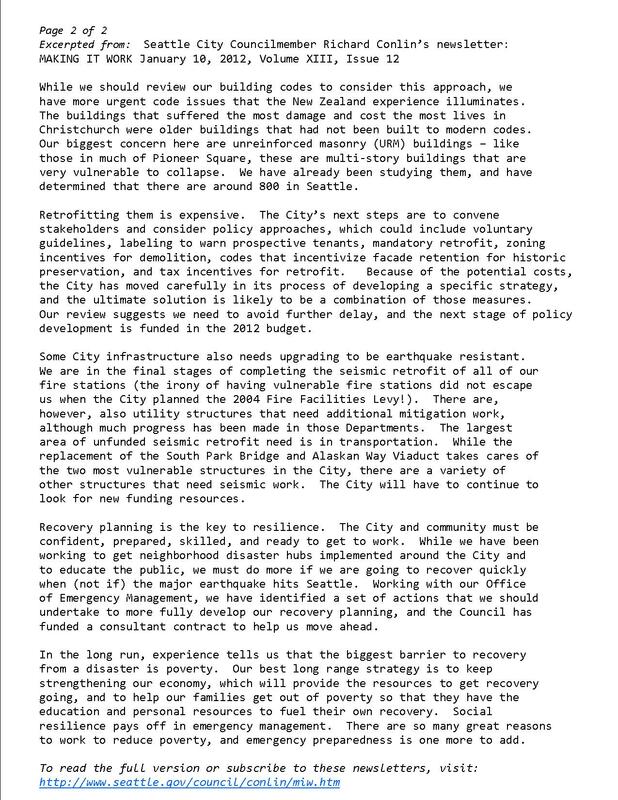 The following is from the latest “Making It Work” newsletter from Seattle City Councilmember, Richard Conlin. We’ve excerpted only the portions relating to emergency preparedness. It hasn’t yet been posted to their website yet, but you should be able to find it here soon; we pulled this from the e-newsletter version that was sent out on January 10th. If you prefer a more printable version, here it is in .pdf format. 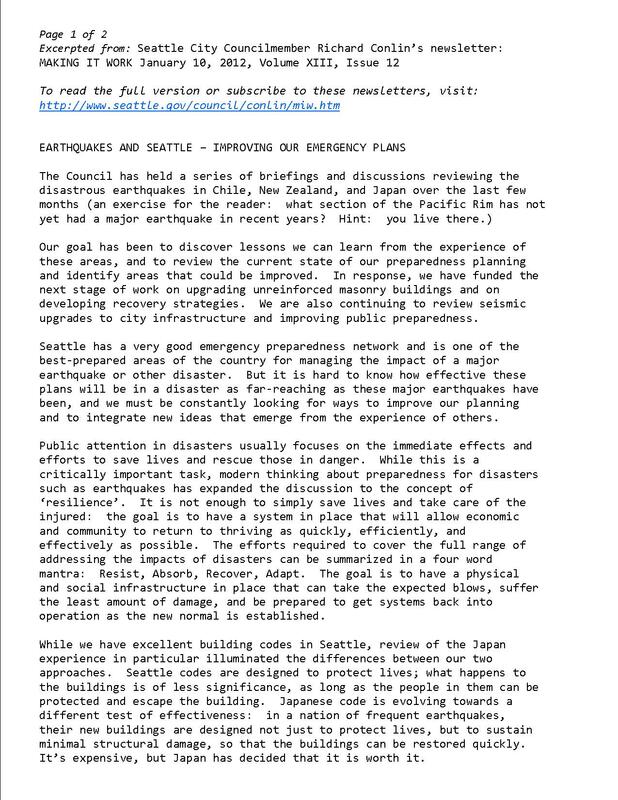 This entry was posted in Earthquake Preparedness and tagged disaster preparedness, earthquake preparedness, emergency preparedness initiative, Seattle City Council briefings, Seattle disaster preparedness, Seattle emergency preparedness. Bookmark the permalink.